By Marcos Detourist. Updated on May 24, 2016. Maruja’s Flora Island Paradise is a resort in the tiny island of Cabugao Gamay Island, the most famous tourist spot in Gigantes. It is most known for its view deck that overlooks the island’s white sand beach, which has two sides facing the sea and both sunrise and sunset horizons. Due to its popularity, the owner decided to establish a resort there offering spartan tent-style accommodations and a basic wooden cottage with bunk beds. Another advantage of staying at Cabugao Gamay is its close proximity to most of the major island hopping destinations in Gigantes including Bantigue Island, Antonia Beach, and Tangke. The only way to get to Maruja’s Flora Island Paradise by chartering your own boat transport. Overnight stay from P300 per person (including tent rental). Contact: (+63)9399212456 / (+63)9984883876; (+63)(033) 3970328. Arjan Beach Resort is a beachfront accommodation in Gigantes Norte Island, which is where the main cluster of resorts can be found in Gigantes. The island is serviced by daily passenger ferries, which makes it an ideal base if you’re traveling by local commute. 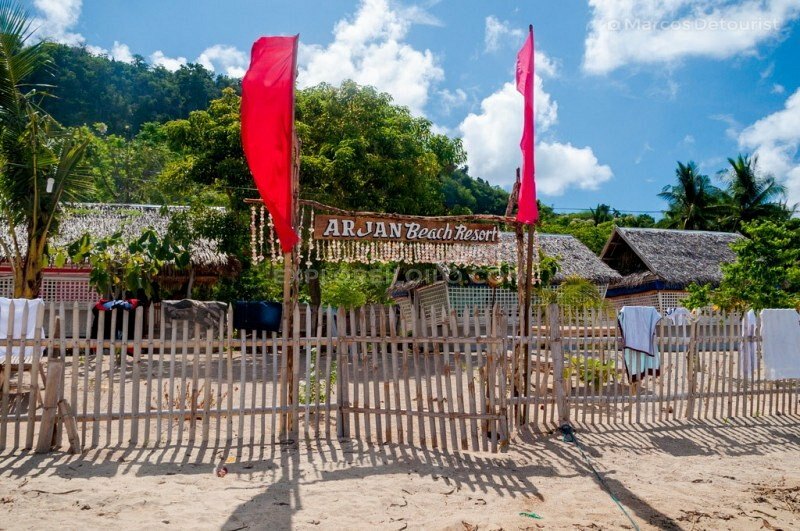 Arjan Beach Resort is run by very friendly staff and offers decent fan and air-con cottages. Tent accommodations from P150 per person. Fan rooms good for 4 people from P800 per room. Contact: +639999918643; Facebook. 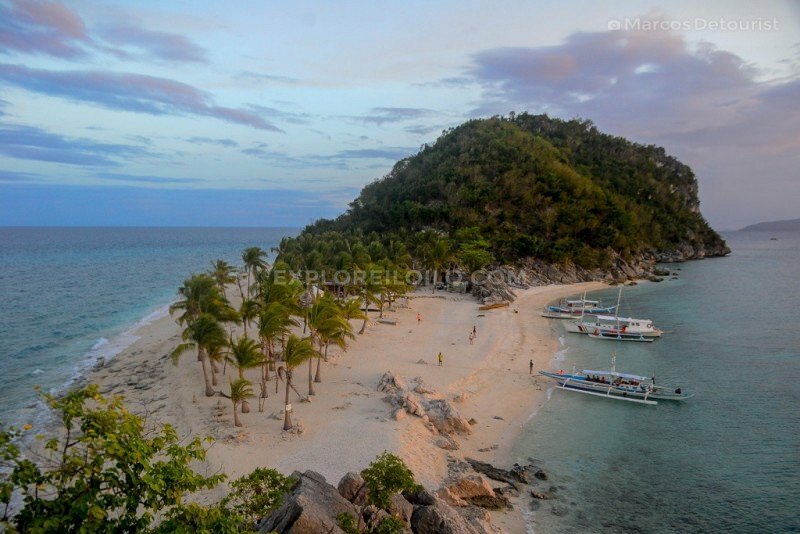 Like Arjan, Rosewood Place Resort is also located on the beachfront of Gigantes Norte Island. Among all places to stay in Gigantes, they seem to be the most active on Facebook. They offer native-themed fan and air-con cottages that can accommodate groups from 2 to 10 people. Double fan cottages from P500 per cottage. Contact: +639079551099 / 09107101595; Facebook. Further readings: Gigantes Travel Guide, Things to Do in Gigantes, How to Get to and Around Gigantes. I’ve been to several islands like Samal is. In Davao, Panglao, Balicasag is. In Bohol, Caramoan in Cam Sur, Mantigue Is. In Camiguin, Guimaras, Bantayan is., Cebu, Coron, El Nido, Palawans’ Honda bay, Underground river to several waterfalls like Daranak, Taytay n 2 more icant recall the names, n of course Boracay. All have their own character, beautiful, unforgettable experiences n msarap balik balikan. I really sm dying to go to the Giant is. I’ve been reading about the write ups etc. Taking down notes about it. Diy id my plsn wd my friends. I hope to travel there next summer n book a promo Flight. Gigantes is. see you.